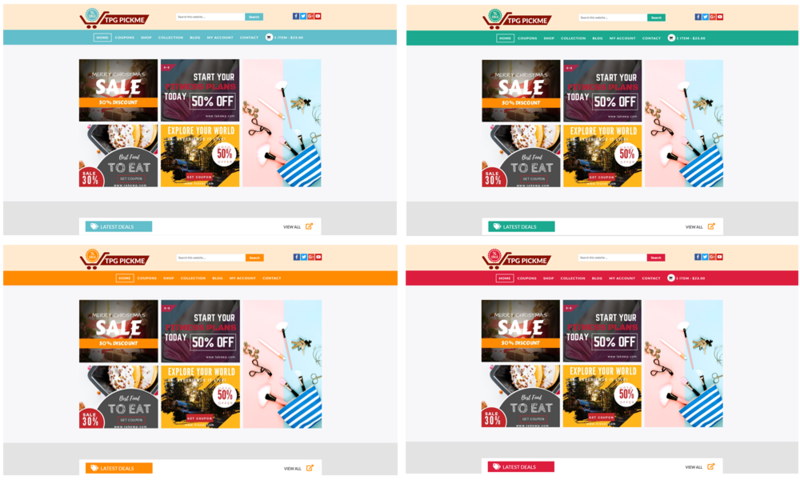 Best Free wordpress coupon theme builds with Genesis Framework, coupon codes supported by Affiliate Coupons, Responsive Layout, Easy to Customize! 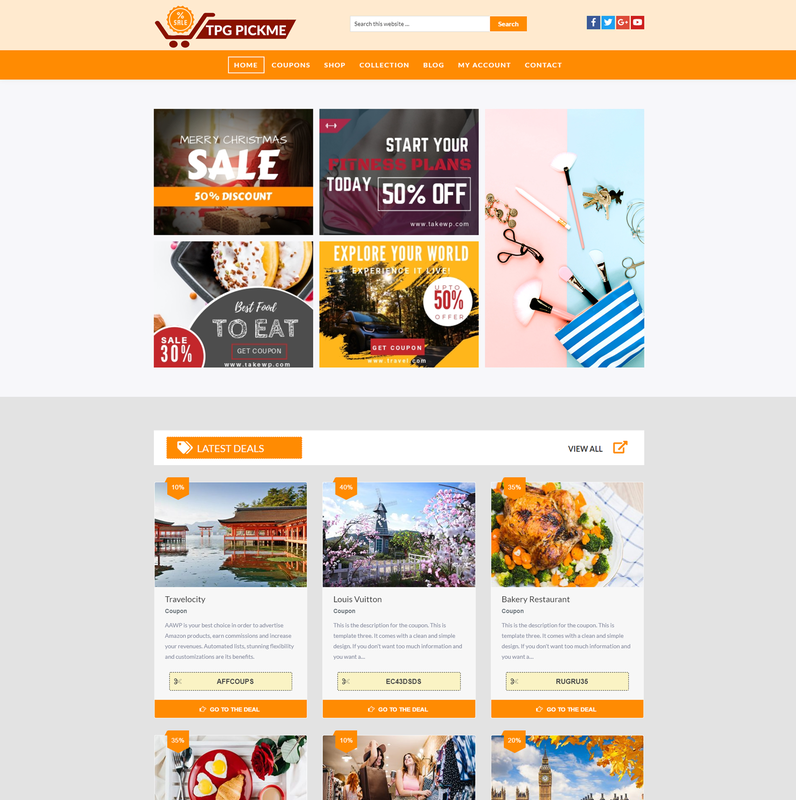 Different from other coupon websites, TPG Pickme brings to you a proper design with nice content organization between deals and coupons, so your customers will not be confused among large number of deals. TPG Pickme is an amazing WordPress coupon theme with perfect design for any website providing deals and coupons. Developed by experienced web developers and latest technologies such as Genesis Framework, Page Builder by SiteOrigin, TPG Pickme provides you with multi gorgeous preset colors, you will get it easy to customize and make any changes you want until you satisfy with the appearance of your site. 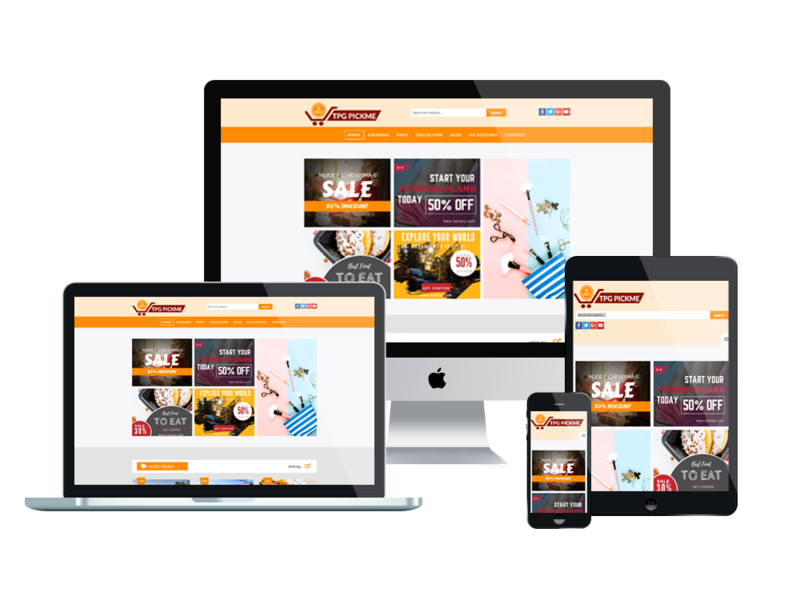 Besides, this theme offers you a perfect responsive layout on any kinds of mobile device, therefore, you can earn more traffic from mobile users easily, even encourage them to be your customers! Grab this theme and make your website greater!